As the last few weeks of summer wind down - there's still time to hear plenty on shortwave from the summer schedules. International Shortwave Broadcast Guide, and our frequency updates on this blog, bring you the latest and most current information. Summer schedules will shift to winter frequencies on October 30, 2016 - which means there remains plenty to hear on shortwave. Get your copy now - to compliment the last few weeks of summer. Teak Publishing is pleased to announce the release of the Summer 2016 International Shortwave Broadcast Guide (ISWBG) electronic book by Amazon bestselling author Gayle Van Horn, W4GVH. This all important semi-annual information resource is your electronic guide to the world of shortwave radio listening. Shortwave radio listeners are routinely entertained with unique perspectives to events,music, culture, history, and news from other countries that you won’t see or hear on your local or national broadcast channels. Shortwave radio broadcast aren’t restricted by country borders or oceans, and can propagate thousands of miles, reaching millions of listeners worldwide, in over 300 different languages and dialects. These worldwide transmissions are monitored on internationally assigned radio frequencies between 1700 kHz and 30 MHz. There are even broadcasts from the dark side, transmitted from broadcasters known as clandestine or clanny stations. Clandestine broadcasters are wrapped in mystery and intrigue, and they usually exist to bring about some sort of political change to the country they are targeting. Programming may largely be half-truths or sometimes even outright lies, but it is essentially propaganda for their cause. Listeners who live in the United States can easily hear shortwave broadcast stations from Australia, Canada, China, Cuba, Egypt, France, Germany, India, Iran, Japan, New Zealand, North/South Korea, Saudi Arabia, Taiwan, Turkey, United Kingdom, United States, Vietnam, and many other counties if you have an inexpensive shortwave radio receiver, and you know when and where to listen! If you want to get in on the action, then this Amazon electronic book is your ticket the travel the world via radio. The ISWBG is a 24-hour station/frequency guide to “all” of the known longwave and shortwave radio stations currently broadcasting at time of publication. This unique radio hobby resource is the “only” radio hobby publication that has by-hour station schedules that include all language services, frequencies and world target areas. New In this sixth edition of the ISWBG is a lead story on clandestine broadcast and broadcasters with the latest schedules and frequencies you need to hear these intriguing transmissions. There is also an expanded special feature on Who’s Who in the shortwave radio spectrum. This story covers services and frequencies outside the regular broadcast and amateur radio bands, and includes our new, exclusive Hot HF 1000+ non-broadcast frequency list. Also new in this edition is increased frequency and station coverage of longwave broadcasters, selected medium wave broadcast frequencies used by international broadcasters, and all known international standard time and frequency stations transmitting worldwide. The International Shortwave Broadcast Guide Summer 2016 edition)is now available for purchase worldwide from Amazon.com at http://www.amazon.com/dp/B01FV3FL72/ The price for this latest edition is US$6.49. Since this book is being released internationally, Amazon customers in the United Kingdom, Germany, France Spain, Italy, Japan, India, Canada, Brazil, Mexico and Australia can order this electronic book (e-Book) from Amazon websites directly servicing these countries. All other countries can use the regular Amazon.com website. This new e-publication edition is a much expanded version of the English shortwave broadcast guide that was formerly published in the pages of the former Monitoring Times magazine for well over 20 years. This one of a kind e-book is published twice a year to correspond with shortwave station’s seasonal time and frequency changes. Don’t own a Kindle from Amazon? Not a problem. You do not need to own a Kindle to read Amazon e-book publications. You can read any Kindle book with Amazon’s free reading apps on literally any electronic media platform. The Kindle app is available for most major smartphones, tablets and computers. There is a Kindle app available for the iPad, iPhone, and iPod touch; Android Phone; Android Tablet; PC; Windows 8; Mac Kindle Cloud Reader; Windows Phone; Samsung; BlackBerry 10; BlackBerry; and WebOS. This means with a free Kindle reading apps, you can buy a Kindle book once, and read it on any device with the Kindle app installed*. You can also read that same Kindle book on a Kindle device if you own one. You can find additional details on these apps by checking out this link to the Amazon website at www.amazon.com/gp/feature.html?ie=UTF8&docId=1000493771. 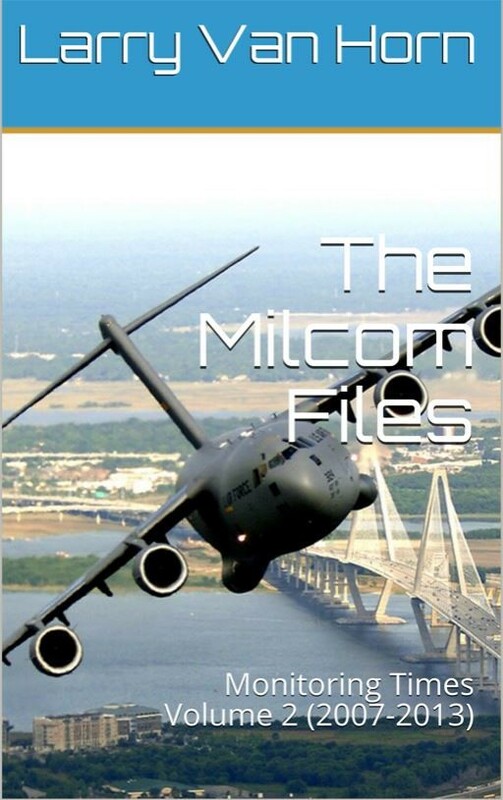 For additional information on this and other Teak Publishing radio hobby books, monitor the company sponsored Internet blogs – The Military Monitoring Post (http://mt-milcom.blogspot.com/), The Btown Monitor Post (http://monitor-post.blogspot.com/) and The Shortwave Central (http://mt-shortwave.blogspot.com/) for availability of additional e-books that are currently in production. You can learn more about the author by going to her author page on Amazon at http://www.amazon.com/Gayle-Van-Horn/e/B0084MVQCM/. The International Shortwave Broadcast Guide will have wide appeal to shortwave radio hobbyists, amateur radio operators, educators, foreign language students, news agencies, news buffs, or anyone interested in listening to a global view of news and major events as they happen. Whether you are an amateur radio operator or shortwave radio enthusiasts, and want to get in on the action outside of the ham bands, then this new electronic book from Teak Publishing is a must in your radio reference library. Here are a few of the public comments from radio hobbyists who purchased previous editions of this Amazon e-book. Excellent, very reasonable guide to shortwave radio. As a long time shortwave listener, the listing of all shortwave stations by UTC time is very useful to me. I had previously a shortwave website that listed only English broadcasts rather than an all station listing with the language that will be broadcast. 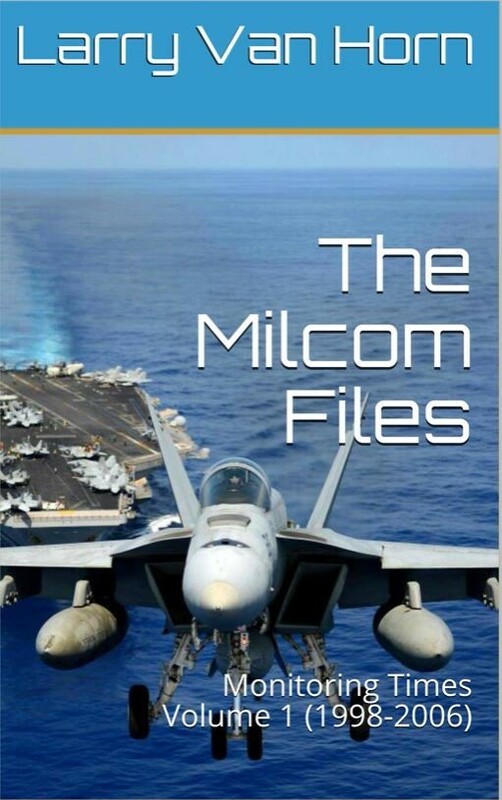 I would highly recommend this e book for all new shortwave listeners and those that interested in a very portable listing of all stations by UTC. I only hope that this will be updated twice a year for many more years. Since Monitoring Times stopped publishing shortwave radio schedules, there has been a dearth of resources for radio-heads. This guide nicely fulfills gap. It is very comprehensive. Very concise and well organized. Not much to choose from these days, it is nice someone is dedicated to Shortwave Radio Listening. Since Monitoring Times is no longer in publication, this guide is required for the dedicated shortwave listener. There is information provided that I have found nowhere else. It will be a welcome addition to any listener's equipment. Gayle Van Horn has been publishing this research for many years and the followers are numerous, from beginners to professionals. The author's work is accurate, concise and thorough. 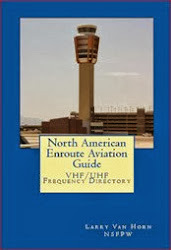 If you have a shortwave radio, you need this publication as much as a set of earphones. There is none better. I've got to admit up front that I don't have a strong interest in this part of the hobby. HOWEVER, Gayle Van Horn makes it easy to determine what one can hear on the short wave bands during a particular time period (in GMT time sorted format). I also like the internet reference available, so that one can listen to programs via the internet even if its' not possible via the shortwave radio. NJ Shortwave listener hears International Frequencies with new guide help by Stanley E Rozewski, Jr. This e-book is complete and accurate in presenting a low cost SW frequency guide and important must read topics for the new or experienced user. I liked the easy reading format, and understandable frequency guide. I will order the second edition next year. When I turn on the shortwave receiver and want to find out what's on and where to look, Van Horn's handy frequency guide is a smart place to begin. The format is not unlike the one Monitoring Times (R.I.P.) used each month. Presumably, updated ISBGs will be published twice per year, but you can check for the updates on her blog, (mt-shortwave.blogspot.com). This is an excellent well-written book that is very affordable when compared to encyclopedic guides, e.g., the WRTH. Much the same information is included. The first part is a nice introduction to SW listening pitched to the beginner. Included is an informative section on purchasing a radio spanning low-end <$100 models up through the most advanced transceivers. The bulk of the book contains a list of world-wide SW broadcasters, organized by frequency band. This makes it ideal for browsing one band at a time, but much less so if you want to search for broadcasts from a particular country. It was barely breathing as of late, but there is still a lot you can hear on shortwave radio. You need more than a little dedication, and a better-than-adequate radio to hear what remains on the HF bands, but if you have those, you will be rewarded with a lot of interesting audio programming. This book is a good guide to what is currently available over the international airwaves.